Conservatory roof cleaning is a little more involved than just window cleaning and requires specialist techniques and equipment to carry it out correctly and safely. Many window cleaners can offer a 'quick wash and rinse the dirt off the glass' service making conservatory roof cleaning appear cheap. However, like everything in life, you get what you pay for and not all things are equal. 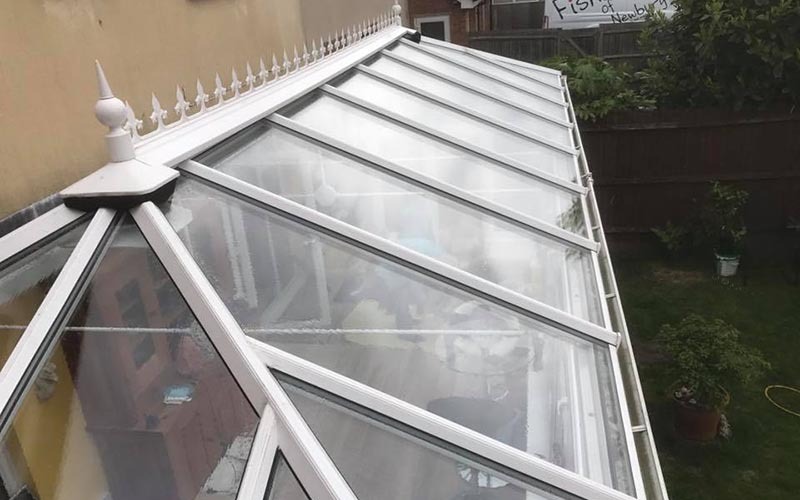 If you have made a substantial investment in your conservatory and want it restored properly you owe it to yourself to hire a professional and pay a little more. 1st glass window cleaning offer a conservatory roof cleaning service which will transform the most tired, green, algae covered roofs and conservatories to their former showroom condition. All UPVC conservatories receive a specialist UPVC treatment using a safe, tried and tested, non abrasive product to remove all discolouration and stubborn stains restoring it to a sparkling white finish. 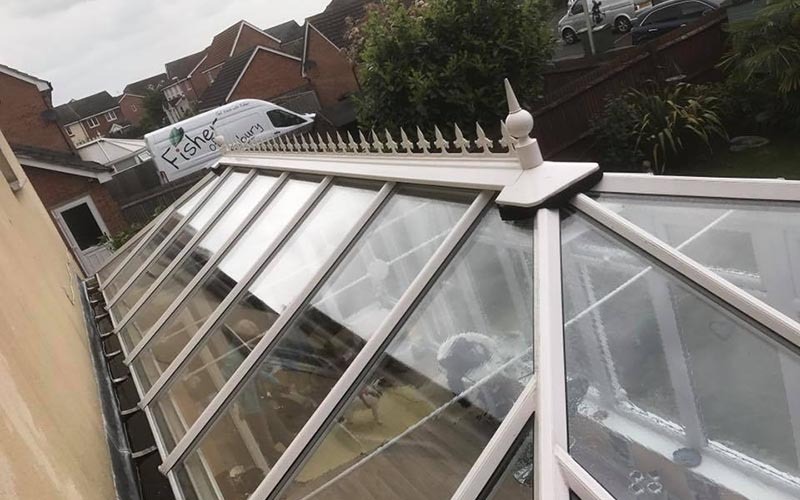 The next step is to use our pure water pole system to clean all the glass and ensure all product residue has been removed from the glass and the frames on your conservatory. After this process every single pane of glass is clear and completely smear-free. 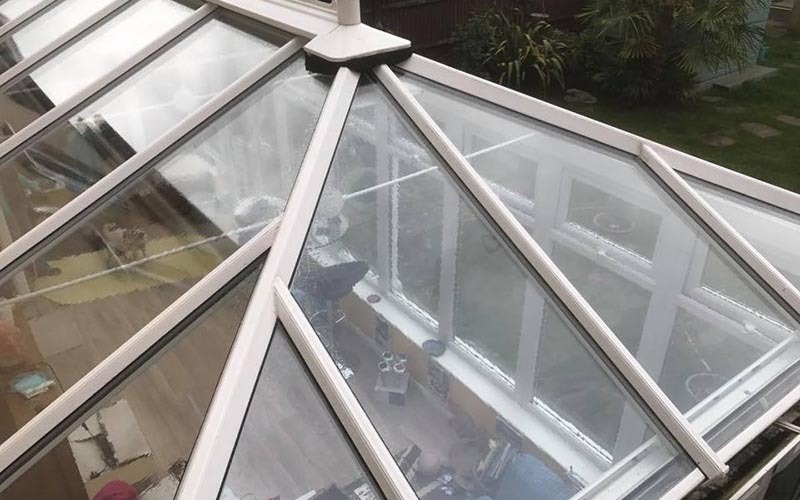 The final stage is to thoroughly rinse the conservatory down with pure de-ionised water leaving you with a gleaming white conservatory which will stay cleaner for longer because of the incredible dirt repellent properties our cleaning system delivers. We can also work our magic on the inside of your conservatory please call us for a quote.